South Western Railway Recruitment 2015: South Western Railway (SWR) has announced the notification for the recruitment of Apprentice in Carriage Repair Workshop. Interested Candidates are advised to see the eligibility criteria, educational qualification, age limit before going to apply for the Apprentice exam 2015. 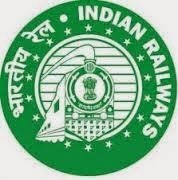 The Application form can be downloaded from website (www.swr.indianrailways.gov.in) and also from Indiagrade website. SWR apprentice application form 2015 is available now. Educational Qualification: Matriculation (Matriculate or 10th Class in 10+2 examination system) and ITI certificate affiliated to NCVT/SCVT is compulsory in relevant trade. Candidate should have completed 15 Years of age and should not to have completed 24 years of age as on 24TH April 2015. There will be an Upper age relaxation of 05 years for SC/ST & 03 years for OBC candidates. The applications in the prescribed proforma should be filled in the relevant columns with ball point pen in foolscap paper. The application should be affixed with two self addressed covers (11” x 5” ) duly affixing Rs.5/- postal stamp on each cover (SC/ST and PH candidates are exempted from affixing postal stamps). Two recent passport size colour photographs with clear front view of candidate without cap, scarf and sunglasses should accompany the application duly signed across by candidate. The applicants will have to register with a local employment exchange falling in the states of Karnataka and the adjoining districts of states served by the South Western Railway. Finally The applications should be sent to Welfare Section of the Office of the Workshop Personnel Officer, Carriage Repair Workshop, South Western Railway, Gadag Road, Hubli-58020, Karnataka on all the working days. Important Date to remember: The last date for submission of application is 24.04.2015 at 17.00 Hours.